The year is 1765. While the American Revolution rages in Boston and New York, Spanish forces in the South plot to seize control of Louisiana for the Templars. But they have yet to reckon with Aveline de Grandpr?, an assassin of mixed French and African heritage, who stands ready to defend her people. As Aveline, the first playable female Assassin in the Assassin?s Creed saga, you must use your skill, instinct and weaponry ? including a machete, poison-dart blowpipe, a whip and duelling pistols ? to hunt down and eliminate your enemies. Change from disguise to disguise, assaulting your opponents directly as an Assassin, charming foes into vicious traps as a lady, or impersonating a slave to incite a riot to elude your pursuers. Feast your eyes on a richly-detailed world, thanks to the AnvilNext engine which features groundbreaking physics, animation and an innovative combat system. Outmaneuver your enemies in the Louisiana bayou with the unique Tree Navigation system, and eliminate them from above with deadly precision. Deep dive underwater as you search for lost Mayan treasures, but stay alert, for Aveline is not the only predator who stalks the hostile wilderness. Taking full advantage of its new hardware, Liberation HD introduces graphical improvements such as high-dynamic-range (HDR) rendering, high definition environments and characters, updated cinematics the sum of which delivers a complete graphic overhaul of the title. 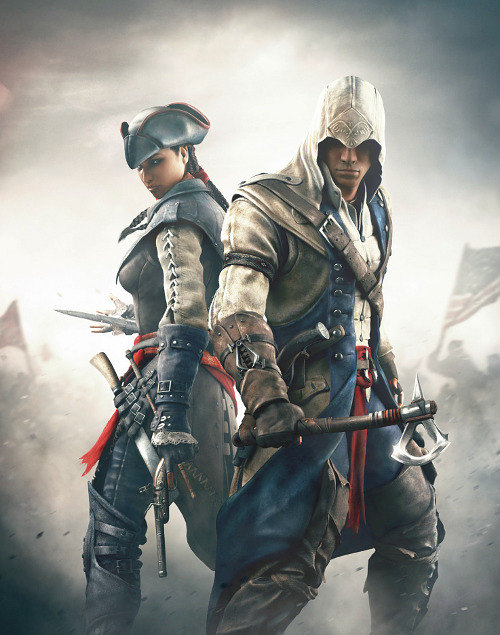 The gameplay experience has been revamped too with updated missions that improve the pacing, new missions that dive deeper into Aveline?s story, and updated world design for more gameplay options during mission. Finally, a particular attention was given to the audio with re-mastered music and all-new SFX.